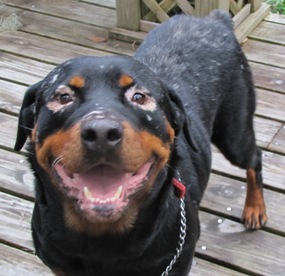 BANDIT - has Vitiligo. This condition does not affect the health of the dog. To learn more about VITILIGO, google it. 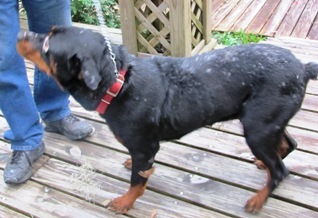 Bandit is a young (2-3 years old) female rottweiler. She's a pure bred, but no papers. Bandit was abandoned by her owner along a rural road, with a leash tight around her neck. We saw the car and a man walking her, then later, the dog was there but the car was gone. Two hours later, she was still waiting, and I invited her to come home with me. She was a sweetheart from the first - no sign of aggression toward humans at all. Bandit was possibly used for breeding, but she has vitiligo, a genetic condition that causes some of her hair to turn white. 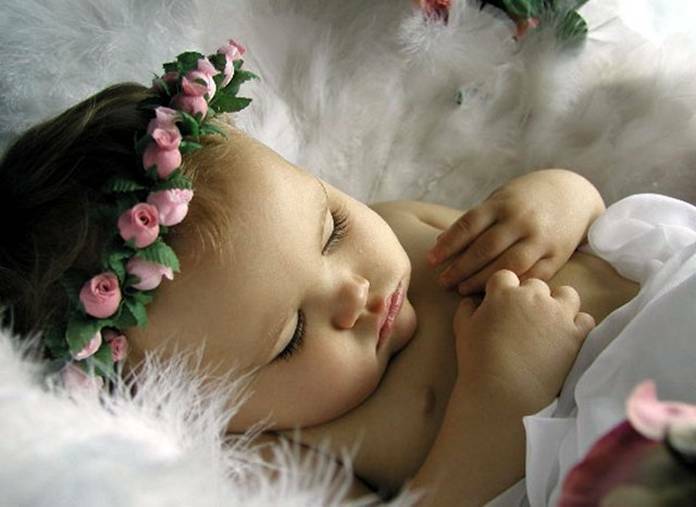 It is not contagious; in fact many people have the same skin discoloration. 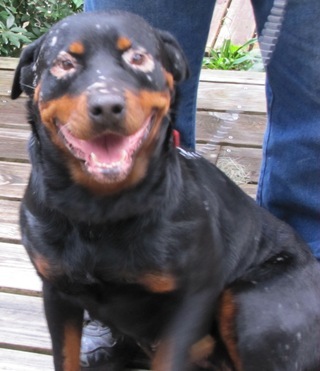 Bandit has white and light tan hair around her eyes, making her look a bit unique for a rottweiler. Bandit has lived with us since Dec. 10. She has been checked by our vet, has had all of her shots and tests negative for heartworm. She is on Heartguard and Comfortis to prevent heartworms and fleas. In the house, Bandit displays nice manners. She is house broken - no accidents at all, is quiet in her gated area (after a few complaints) and settles down quickly. She loves to be petted and brushed. She will also lie down in the living room and be more than happy to relax with us. She has learned to co-exist with our miniature dachshund, but is too curious about our cats to be trusted off the leash around them. And since we have 6 cats, we cannot keep Bandit and are currently fostering her until she gets a FOREVER HOME. Everyone who meets Bandit is impressed with her temperament and her sweet and gentle personality. 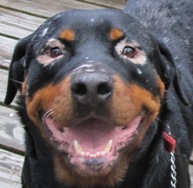 She greets people with her rottie smile and endears herself immediately. She needs to be with a family who knows her breed, since she weighs 82 pounds and is very strong. She is a love sponge and will sit blissfully quiet beside you to be petted or just touched. This beautiful girl deserves another chance at the good life.